The PlayStation 3 now costs half the price, has double the storage, and uses half the power. If you need another reason to upgrade, Sony also makes it easy to transfer all of your information to a new console. Transferring all of your games, data, and settings is easier than ever, and all you need is an ethernet cable. Read on as we walk you through the whole process of setting up your new PS3 and wiping all your information off the old one. The first thing you need to do is sync all of your trophy information to Sony’s servers. 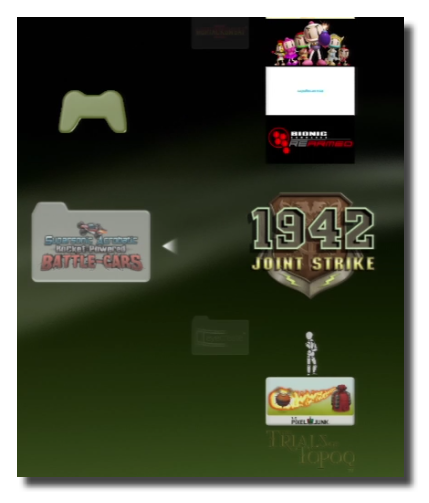 In the XMB go to game -> trophy collection and push triangle on your controller. The menu will open and you can select sync with server. 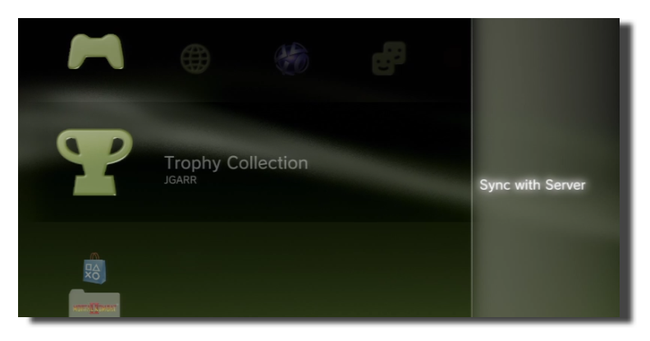 The sync will take a few minutes but once it completes all of your trophies will be safely copied on Sony’s servers. Next you should deactivate your system. To do that go to PlayStation network -> account management -> system activation and deactivate your system for game and video data. Next go to the settings menu and check for updates. Now to avoid errors during the transfer, scroll down to network connections and disable media server connection. 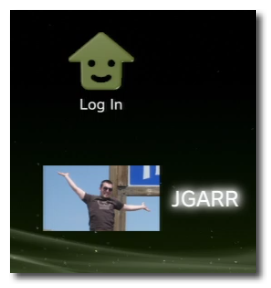 Finally scroll up in the system menu to the data transfer utility. At this point you should connect your old and new PlayStation 3 together with an ethernet cable. You should also have your new PS3 plugged into your TV so that you can get ready to begin the transfer once the old system is waiting for a connection. Note: You can use either a crossover ethernet cable or a standard patch cable. The PS3 will be able to internally switch to know which cable you used. 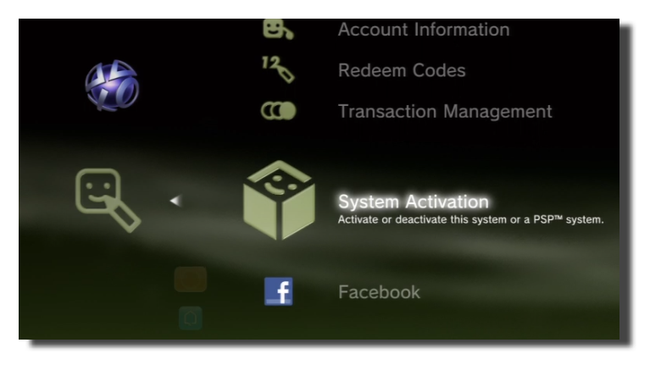 Select transfer data from this system to the other PS3 system in the next step. If you have any other users on the system it is also a good time to deactivate the system under their PSN accounts and sync their trophy information too. You have to back all the way out of the process to do that, but at least you are warned before you continue. Click OK on the next screen after you have connected the new system with an ethernet cable. Leave your old system at the waiting to transfer data screen and switch TV inputs to the new PS3 system. Just like the old system you will want to check for updates, disable media server connection, and disable internet connection on the new system and then start the data transfer utility. This time select the option to transfer data from the other PS3 system to this one. Once the system connects it will ask you to format the new system which will erase all data. Only do this if you are sure that you don’t have any information stored on the new system. Note: The old system will not be erased during this process. Let the format finish and the system will automatically reboot and should connect again to the old system and begin transferring data. Note: Depending on how much information you had on the old system this may take quite a while. I had about 35 GB of information on my PS3 and the process took about 40 minutes. All of your information should be on the new system exactly as it was on the original. You may need to re-authenticate some services like Netflix and Hulu Plus but otherwise games and settings should be the same. Some games may store data elsewhere on the system and you will want to make sure that you have a backup of any games that may support extra data. Little Big Planet and PlayStation Home both have extra areas you may want to check to make sure your data is backup up before proceeding to the next step. You can also verify all of the information on the new system before continuing with wiping the old system. Once you verify you have any information you need and want to erase your personal data go to the settings menu -> system -> restore PS3 system. We had already deactivated the system and synced our trophy information earlier but if you haven’t you will want to do that now. 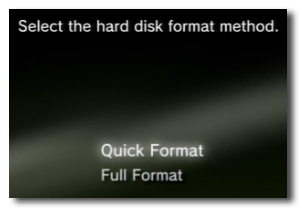 Select what method you want to use to format the PS3 with. Unless there is something really personal on the system a quick format should be good enough. The format will go really fast and then ask you to restart your PS3. After it has finished it will walk you through the initial setup of the system. You don’t need to walk through the setup if you plan on selling the system so you can also just shut it down.